Amber J. Phillips is a writer, multimedia creative, and social justice organizer. 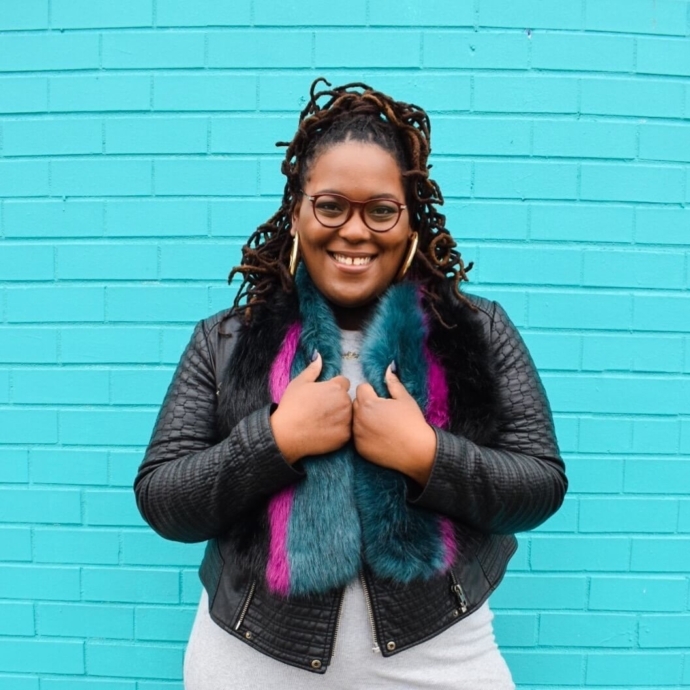 Known as the High Priestesses of Black Joy, Amber’s work has been featured on ESSENCE, The Breakfast Club, Huffington Post, NPR’s 1A, and as a former regular contributing panelist on Roland Martin’s NewsOne Now. Amber is the co-host and creator of The Black Joy Mixtape, a weekly news and politics podcast for and by Black women. She also co-hosts Culture Genius: A Black AF Game Show on Stitcher Premium. Amber is currently the Creative Director of the Midwest Culture Lab working to engage creatives and communities of color in Ohio, Michigan, and Illinois.